the shotgun and the event. 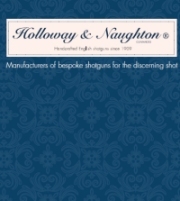 Holloway & Naughton, established in 1909, manufacture bespoke shotguns for the most discerning clients. 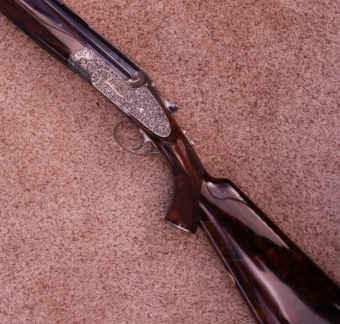 The Company employs a team of English craftsmen, each one a specialist in their own area of gun making. 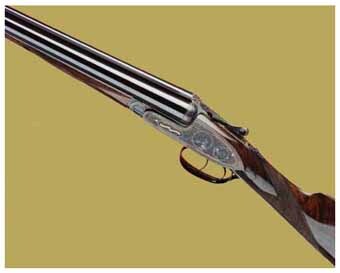 Every shotgun reflects the essence of a truly English handmade shotgun, creating faultless handling characteristics and performance. 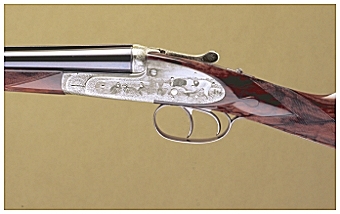 Holloway & Naughton ® shotguns have the perfect mix of weight and balance when finished. 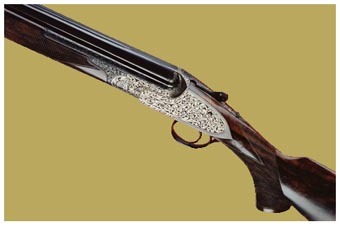 The award winning guns are designed with modern Over & Under and Side by Side actions to provide robust reliability. Barrel length, weight, balance, rib style, grip shape and engraving are standard options. Available calibres include 12, 16, 20, 28 or 410. Holloway & Naughton ® are passionate about gun fit and customer service. The Company frequently offers to make a trial stock as part of their philosophy. From initial contact to final delivery and beyond, Holloway & Naughton ® radiate enthusiasm both in our products and shooting. The final result is an individually styled English Masterpiece which comes complete with a ten year warranty. The decision to own a Holloway & Naughton ® could not be easier. The man behind Holloway & Naughton is something of a rarity. 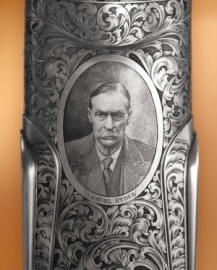 Andrew Harvison is a top class competitor, coach and gun-fitter who has turned himself into a gun maker, Go back in history and you will find very few gun makers who are also top shots”.